Music fans. The lifeblood of the music industry. If fans didn’t buy records, gig tickets, T-shirts, pin badges, all but the wealthiest musicians wouldn’t have the means to make and distribute their work. They come in all shapes and sizes – from the screaming teenage girl to the meticulous completist collector in his 60s. Some are quiet, modest fans, others are vocal ambassadors for their favourite band. Some fall in and out of love with their band or musician of choice depending on their output, others stick with them through the good, the bad and the ugly. They have nicknames – Brosettes, Blockheads, Thatters – uniforms and special ways of recognising each other. Where once there was very limited access to your musical heroes, in the social media age many are instantly reachable. And it’s not just the musicians themselves, where you once had to go to a gig or a real-life meet-up to connect with fellow fans, now that, too, is at your fingertips 24/7. But what does being a music fan in the 21st century really mean? Is being a female music fan a different experience to their male counterparts? And has social media been a positive development in this sphere? 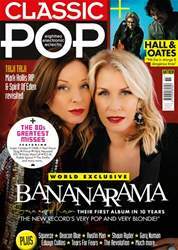 From fans of 80s and 90s boybands to Britpop obsessives and one fan who actually married her musical idol (introducing Gemma Webb, wife of Gary Numan), there are familiar tales of music pulling you through the darkest times – of meeting and even duetting with your favourite band, of travelling the world to see your musical heroes and making lifelong friendships in the process. Dr Mark Duffett, from the University of Chester, has been studying musical fandom for years – exploring relationships between particular kinds of fandom and gender and race. It’s a subject close to his heart.